Blessing could be part of a wider shuffle of management at VW. BERLIN/HAMBURG -- Volkswagen Group's supervisory board will decide on a replacement for personnel chief Karlheinz Blessing as part of a broader management overhaul when it meets on Friday, two sources said. The automaker is poised to replace group CEO Matthias Mueller with the head of its core brand, Herbert Diess, as it aims to boost efficiency amid a strategic shift following the company's diesel scandal, sources said on Tuesday. One of the sources said that Blessing will be replaced by Gunnar Kilian, a general secretary at VW's works council, who worked directly under labor boss Bernd Osterloh. German magazine Der Spiegel was first to report that Kilian could replace Blessing, who joined VW in January 2016. Kilian's appointment would give VW's labor representatives a direct say on cost cutting and strategy debates at executive board level under a new CEO known for his cost-cutting efforts. Senior works council members last year had their salaries cut and bonuses suspended after public prosecutors investigated alleged overpayments at the automaker, a move that labor leaders are blaming on Blessing, one source said. Removing Blessing, who also oversees VW's slow-moving efforts to establish a new corporate culture, will be part of a broader reshuffle that could also affect other senior executives, another source said. Diess is due to outline the group's new leadership structure in front of the supervisory board on Friday, two sources said. 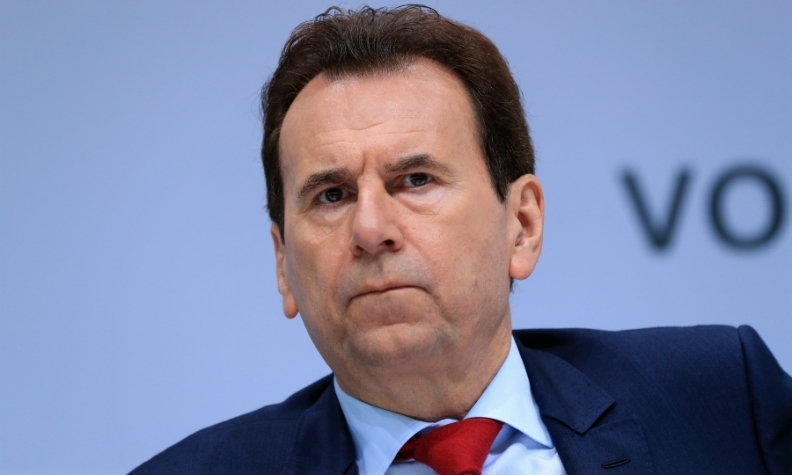 The replacement of CEO Mueller with Diess has been planned for months and group procurement chief Francisco Garcia Sanz, is also due to be ousted, Germany's Bild newspaper reported earlier on Wednesday. The 59-year-old Diess looks set to retain his responsibilities as head of the core VW passenger car brand if he becomes the group's next CEO, the second source said.